If you’ve been reading my posts for any length of time, or if you follow me on Twitter, you’ve more than likely been on the reading end of one of my rants about #biggirlproblems, and the most frequent subject of said rants is the lack of selection/availability of cute, functional plus-sized activewear in my world. This is not one of those rants! A few months back, I saw a tweet about a giveaway for a pair of Taffy Essential Capris on Fit and Free Emily’s blog (http://www.fitandfreeemily.com/). I don’t usually enter giveaways, because I never win anything, but on a lark, I went for it. When I heard from Emily a few days later that I had won her giveaway, I was psyched! Because if there is anything better than new workout clothes, it’s new FREE workout clothes. Taffy was new-to-me name in the small (but growing!) world of plus-sized activewear, but once I got my capris in the mail, I instantly went over to Taffy’s website and ordered myself some additional items. And when those showed up in the mail, I went back for more! At this point, I’ve got almost every top they have and two pairs of capris. But my favorite piece, by far, is my white Taffy Essential Jacket. I’m a little in love with it. I’m a little sad I can’t wear it to the office. Me, heading out for a walk, rocking the Taffy Essential Jacket and one of their tanks. While I was there, shopping my little heart out, I read a bit about Taffy’s backstory. Taffy’s was created after their founder, Katie Kozloff Banks, while working as a personal trainer, noticed that many of her female clients that were over a size 12 often wore oversized t-shirts and sweats because they had trouble finding flattering activewear in their size. At the same time, I noticed that Taffy was accepting applications for ambassadors. Already a huge fan of their line, and their story, I shot off a quick email to apply, and being that this was the week before I was traveling to New Jersey to hang with my fellow chicks, I didn’t think much more about it. I was sitting in Meri’s car at a local farm market in NJ, giggling with Anne and texting silliness to Brooke, when I got an email from Taffy that I had been selected as one of their ambassadors. I think Meri and Anne can attest that my smile was pretty epic. I was seriously SO excited. Throughout the entire process of getting set up as an ambassador, the women at Taffy have been amazing, and I couldn’t be happier to be working with them. And shopping with them, of course. Because hello, everything is super cute and high quality and I love being able to go out for a walk with my friends and not feel like the frump. Okay, so the best part? Discount code for you guys! When you place your order on www.shoptaffy.com, you can enter my ambassador code, BEC15, and you’ll get 15% off our of your order, as well as free shipping. I do want to disclaimer this here. As an ambassador, I do receive commission when you use my code, but seriously, I love their stuff so much that I would gladly sing their praises regardless. So, if you are a curvy girl, wear between a size 14 and a 24, and have mourned the lack of pretty workout clothes, I hope you’ll check out Taffy. I really think you’ll love their stuff! 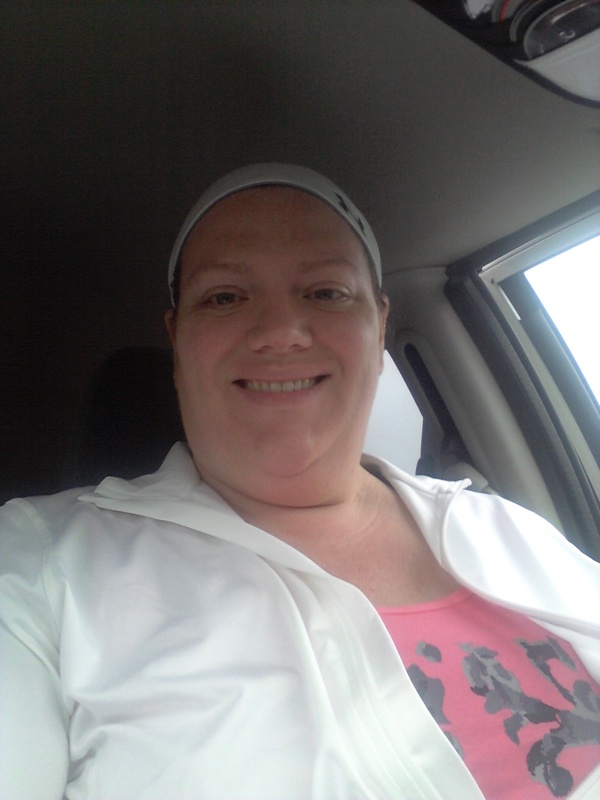 This entry was posted in brand ambassador and tagged ambadassador, ambassador, Bec, plus size activewear, taffy activewear. Bookmark the permalink. This is wonderful news! So glad that you found a great workout brand that is cute and you feel comfortable in! That’s awesome that you won the give away and even better that you are now an ambassador! How cool!